Mozilla Firefox is trying its best to get back in the browser game. It recently overhauled is browser inside out with the Firefox Quantum and how it is planning to add extra features to the privacy focused browser. The team at Mozilla have teamed up with the website “Have I Been Pwned” to bring a safety feature that will warn you when you are about to visit a website that has been hacked or suffered a data breach. 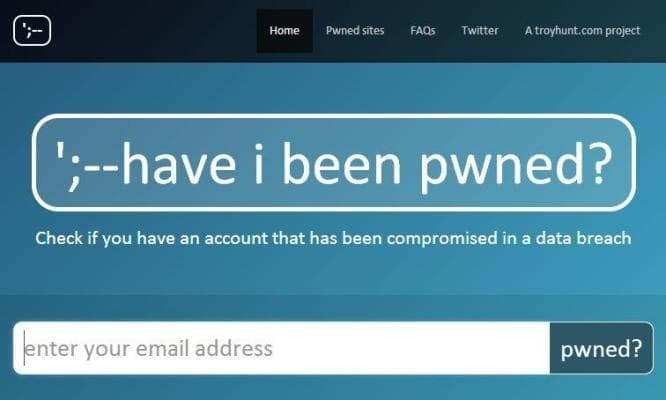 If you are familiar with the “Have I Been Pwned” service, you know that it is a website where you can enter your email id and verify if your credentials on any website you might have used to login have been stolen by hackers. The implementation of this security feature is in its early stages, and we mean very early stages. If you are adventurous you can use the Developer Edition of Firefox and download the GitHub resource to activate it. Both Mozilla and the team from “Have I Been Pwned” are tested various ways in which there services can be integrated. It is expected that the final feature will be a overlay screen which will display a warning if you are visit a website that is on the “Have I Been Pwned” blacklist. Just like every other security warning on Firefox there will be a “Know More” link where users can read about the details of the security risk and as always users will be allowed the access the questionable website if they agree to take the risk. This feature is still under development and is expected to be rolled out to the public by next year. Website owners are giving this a mixed response. Some think that this will help instil faith and make sure that a website is 100% secure while others point out the flaws with the “Have I Been Pwned”’ system. They say if the website has suffered a breach in the past which has since been rectified by the website administrator, the website still remains on the “Have I Been Pwned” blacklist and when Firefox users see a warning they shall hesitate to visit the website even if it has been deemed safe. While this definitely is a good move; I think it'd be almost impossible for Firefox to beat Chrome in this department. It's because of the ecosystem that Google controls: Search, Android, Chrome and Public DNS servers that are used by many. They are better equipped than Firefox to figure out which websites are hacked and which aren't. I downloaded the latest Firefox and was disappointed with it because it seems to break PHP sessions; which are essential for IO [Quizzr App]. I haven't uninstalled it, because I'm doing to give it a try for next 2-3 months.